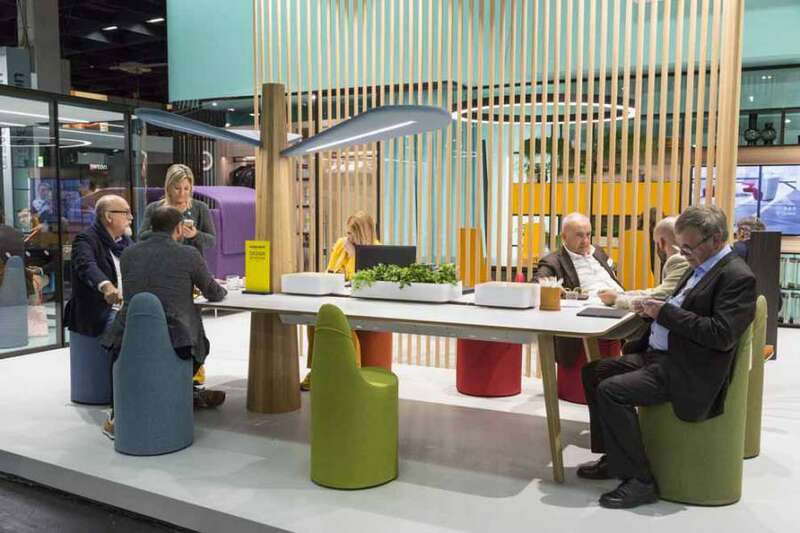 Orgatec, the biennial trade fair for the furnishing and equipment of the working environments, the contract and the common spaces that took place in Cologne from the 23rd to the 27th of October, has recorded excellent results that certify once again the great success: 753 exhibitors (664 in 2016, the year of the previous edition) of which 566, 75 percent, coming from abroad. 63 thousand visitors arrived in Cologne from 142 countries, against 55 thousand from 118 countries in 2016 (plus 15%). Also on the visitors' front, the number of arrivals from overseas is excellent, especially from the Americas (plus 42 percent compared to 2016), and from EU countries, plus 33 percent, as well as Japan (plus 22% per cent) and from India (plus 44 percent). The quality of visitors, the level of bargaining and contacts at the show was also high, and the attendance at the dozens of conferences, seminars, meetings and round tables organized in the exhibition centre was very high. 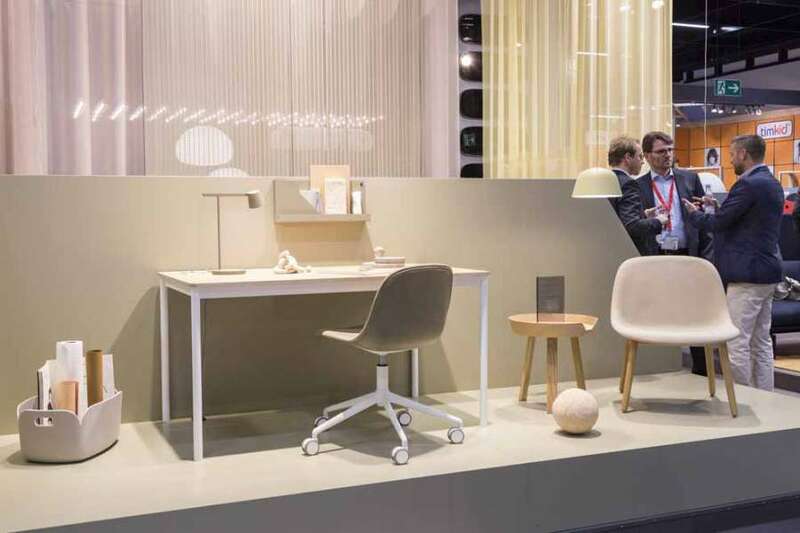 Under the motto "Culture@Work" Orgatec has shown the most innovative solutions for the working environment, a background that should not only be modern and comfortable, but also attractive and efficient as well as technological. Italian exhibitors in Cologne have registered an increase, having moved from 84 in 2016 to 103 this year. Also doubled the spaces of the Italian areas organized by Koelnmesse Italy, from 274 square meters in 2016 in Hall 10.2 to 624 square meters this year. The Italian subsidiary of Koelnmesse managed two spaces one in Hall 10.1 and one in Hall 10.2: a total of 13 companies took part, compared to 6 in 2016. Satisfaction in the words of Italian exhibitors such as Laura Camerin of Citterio who noticed a significant improvement of the event compared to the past, both from the point of view of the exhibitors and from the point of view of visitors, with a positive trend in the number of operators, especially Europeans. 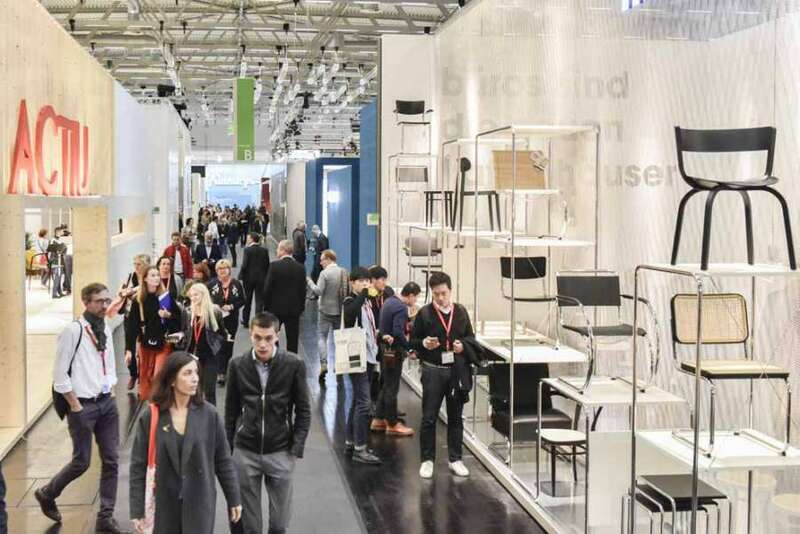 And he added: "The expectations for a fair within Orgatec are certainly very high, but we are aware that the work done by the organizers can bring good results, perhaps even a further increase in arrivals from South America and the Middle East". Caterina Pepori, IOC sales and marketing manager, International Office Concept, has also had an undoubtedly positive response. The company had the opportunity to meet many operators coming mainly from Northern Europe, Poland, Germany, Belgium, but also from countries like Singapore, Hong Kong and the Middle East. 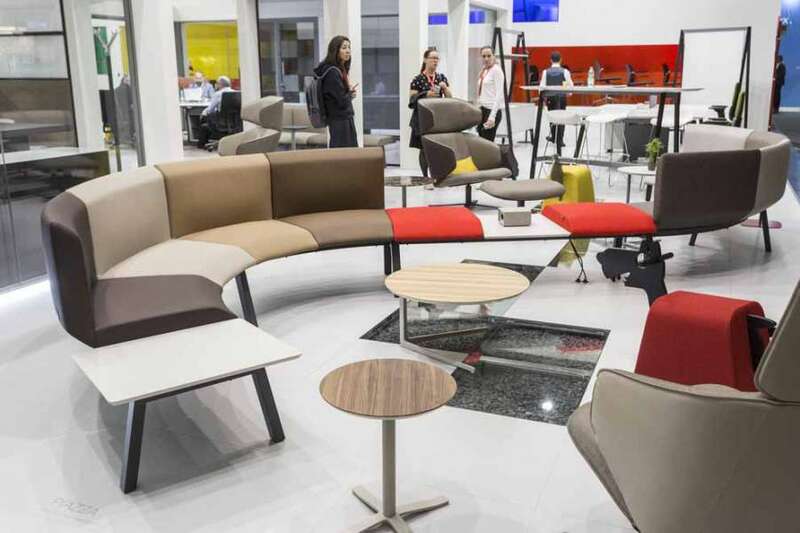 "Orgatec 2018 has proved to be a hugely successful edition - said Caterina Boschetti, marketing director of Quadrifoglio Group - on the one hand thanks to the contents linked to the office world and to the contract, on the other for the international scope. We are also proud of the visitors we received at our stand, who were interested in the innovations we have proposed and at the launch of Quadrifoglio in the contract with a more refined style both in form and in materials". 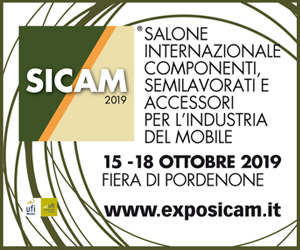 In all the pavilions, competence and professionalism emerged, as well as an excellent exhibition level; research and innovation, cornerstones of the Italian offer, have attracted the interest of visiting operators from all over the world. As always, the program of side events at the exhibition is very rich and interesting. During Orgatec the meetings "Architectureworld" and "German Hotel Day" were held, two important moments of comparison with the world of architecture and real estate to seize the opportunity to redefine the relationship between building, function, furniture and infrastructure. 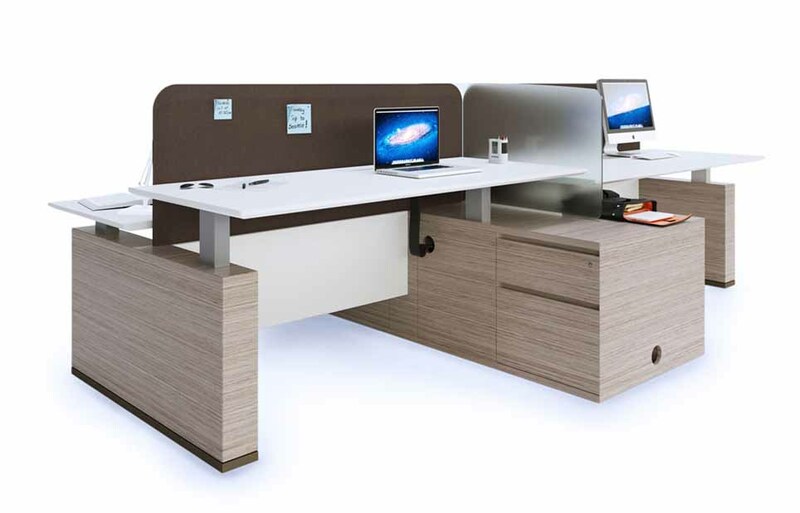 The space entitled Plant 10.1 wanted to demonstrate how the work environment can affect our productivity and creativity while the theme of digitization has been at the centre of "SmartOffice & Conferencing Technology". The Orgatec Trend Forum, on the other hand, has welcomed speakers from all over the world who have highlighted the focus in the future of spaces and work modalities. 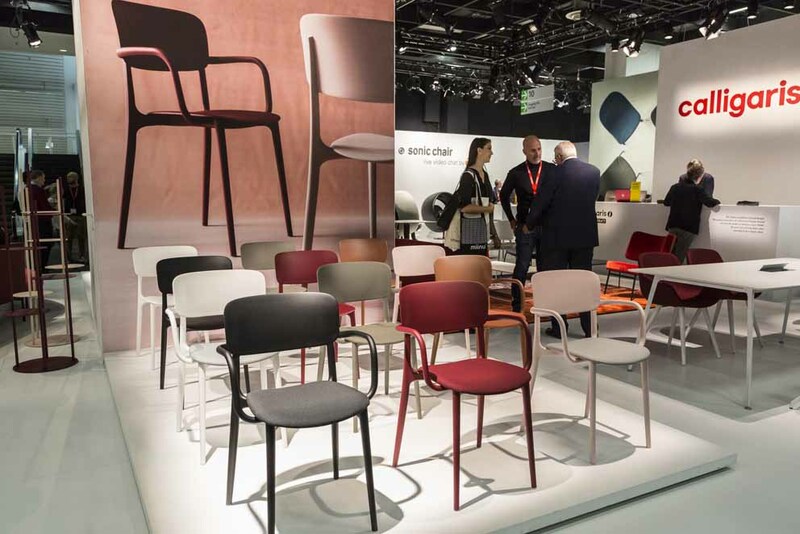 The next edition of Orgatec will be held from 27 to 31 October 2020.